 Welcome to the National Association of Health Access Assisters (NAHAA)'s inaugural blog post. We are a brand new, professional association for the health access assister profession. We support consumer assistance by elevating, advancing, and advocating for heath access assisters, which includes Navigators and Certified Application Counselors, among others. Our members are a critical part of the health care delivery system; we help individuals, children, and families gain, retain, and navigate health care and coverage. Why “health access assisters” instead of Navigator, Certified Application Counselor, or some similar term? NAHAA understands that, although funding sources and organizations may be different, the influential and life changing work health access assisters do is much more than enrolling people in health coverage; our community helps consumers access the complex health care system! In each blog post, we will address hot topics for health access assisters including federal policy updates, the latest news, press clips, upcoming events, and more! November 2017 brings a busy time filled with the cheer of gathering together to give thanks. It is also a time when millions are enrolling in health coverage, many for the first time. And despite ongoing confusion, consumers are enrolling in record numbers! To make November even busier, this is also the annual opportunity to provide feedback to the proposed “Benefit and Payment Parameter” rule that makes changes to health insurance marketplaces, including Navigator and assister programs. Comments are due November 27 at 5pm ET. For those of you that are interested in commenting, but are stretched thin on resources or want additional feedback, email us at info@nahaa.org and we will share a template that you can adapt for your needs. This coming January 25-27, 2018, we are going to be out in full force at the Families USA Health Action conference, “Staying Strong for America’s Families,” where we will have an enrollment track specifically for assisters and the organizations supporting this work. We invite you to join us there. If you are a health access assister or an organization supporting enrollment and navigation work directly, you can use the code “ENROLL” to receive a discount to the conference. This will be a great opportunity to connect with other assisters to share ideas, network, learn from one another, and explore NAHAA’s services for you. Stay tuned on our events page. Bookmark our resources page where we will post recent tools you can share and use. You’ll also find our latest materials through the Center on Budget and Policy Priorities Consumer Assistance Coordination Hub (CACH), made possible with support from the Robert Wood Johnson Foundation, on how to engage volunteers in your work. “ACA sign-ups spike at open enrollment start” The number of consumers signing up for plans under the Affordable Care Act has surged during the first few days of open enrollment compared with past years, according to federal and state officials. Read more at the Washington Post. If we have not spoken with you about joining NAHAA, get in touch with us! We would love to hear from you. We will soon have membership materials to share. In the meantime, you can contact us at info@nahaa.org. We’d love to hear from you!